We’re going to learn a little bit more about the dental side with Dr. Vinograd and his assistant Dr. Christiansen. I think I said that right. 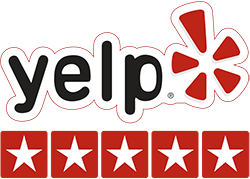 Dr. Vinograd is a holistic dentist in San Diego and has been practicing since 1978. He founded a nonprofit to bring holistic dentistry to underserved populations in the Americas and received a bilingual secondary education teaching in 1992 from San Diego State University. He’s also been an associate instructor at the University of Southern California, and we are glad to have his knowledge with us here today. Please welcome Dr. Daniel Vinograd and his assistant Dr. Christiansen. Daniel Vinograd: Can you hear me okay? Yeah. Okay. Well, hi, and I’m so glad to be with you all here today. I know a beautiful day like this, you could be anywhere, right? At the beach, but you’re here, so I want to commend you in really addressing taking care of your health, and more importantly, I commend you for actually taking responsibility for your health, right, which is not always the same thing. So we’re going to talk to you about biologically aware dentistry. What does that mean, right? And the reason that I actually titled this lecture biologically aware dentistry is because as dentists, we are always taught to do technically very proficient procedures. And I have to say, since the advent of the industrial revolution, you know, like many other fields, the field of medicine and dentistry became very specialized. And so you go see a specialist for the knee and another specialist for the shoulder, so all of a sudden, everybody’s specializing, and that happened to us too in dentistry where we were actually becoming specialists in teeth and gums. And even though most dentists have a good working knowledge of physiology, anatomy, et cetera, you know, those are things that are studied a little bit, by the way. You only really bring into the picture the things that are applicable to your practice. The anatomy of the jaw, et cetera, et cetera. But we have become so focused on the teeth and the gums that we’ve become a little bit more like engineers of the mouth, technical doctors, rather than really healers. And so biologically aware dentistry is taking a step back and saying, “Wait a second.” You know the song, right, the elbow is connected to the shoulder bone and the shoulder bone connects to the – whatever that goes. So it’s all connected, and the more that we practice dentistry, biological dentistry, the more we realize that a tooth can affect your liver and vice versa. At first, because of the way we’re trained, that really didn’t resonate. But the more we’ve been practicing and the more we see the direct correlation between the mouth and the rest of the body, the more we believe in it. Again, welcome to San Diego. How many people are from out of San Diego, from out of town? Wow, so, terrific. Terrific. You guys are really dedicated to your health, and again, you know, you could be visiting beautiful San Diego, and instead you’re here with me, so I thank you for that. Now, whom do you trust? That is really an important question, because I still remember, you know, thirty years ago, I wanted to research what were the best schools for my kids, what are the best areas and so forth, and I had to pay an obscene amount of money for a company to research that for me. Gosh, we’ve really moved forward, and now we have more information than we know what to do with, right? I mean, the access that we have to the internet has opened up an immense amount of knowledge and information. Well, having said that, is all the information that we get trustworthy? I mean, we get a lot of information. How do we know what to trust and who to trust, right? I think it’s a good question, because especially for you, all of you that are taking decisions in your lives, are here, are definitely proactive, right, when it comes to your health, how do you differentiate what’s good information and what’s not such good information? Okay, so how do we get reliable information? And I think you always have to go back to source and motive. What is the source of this information, and what is the motive behind people that are giving you this information? I think if you always keep that in mind, you will uncover a lot of good information, and also some information that may not be quite as reliable. And then once you have the right information, then you need to trust yourself. Why should be trust ourselves? Because we’re incredible pieces of machinery, of nature, creation, where every cell in our body has a billion and a half years of intelligence. If you really think about it, it’s mind-blowing, isn’t it? Every cell of our body, whether you’re a religious person or not, religious, you say every cell of my body is God-given and it has God knowledge. If you’re not religious, you could talk about, you know, the evolution, and obviously we aren’t going to get into that big discussion, that’s much bigger than this, but it doesn’t really matter. What’s important to know is that we have tremendous values and resources right here. We don’t have to go anywhere else often, and that once we have that really good information, we can then connect our – like the Chinese, we talk about heart and mind being one organ. We trust ourselves. So can we talk a little bit about corporate America, or, you know, international corporations? Can we trust? I think people, at time, say, you know, [inaudible] doctors are bad, corporate doctors are good. Corporations are bad, you know, non-profits are good. That’s not really always true. There are corporations that are doing a lot of good out there, but in general, what is really the responsibility of a corporation, at least in the United States? There’s a great documentary that actually talks about the beginning of the corporations in the United States and how they became – they were giving a lot of benefits of the individuals, or the rights of the individuals, and so they started exploiting that, and they started growing, and under the protection of the government, they became very dominant. Today, corporations are more dominant than governments, even. Do you agree? No? Maybe. Okay. But it doesn’t matter. They are dominant and they are strong, right? So mainly the responsibility of a corporation is to its shareholders. In other words, whatever’s good for the shareholders is what the corporation’s guiding light is. So can we really trust corporations to look out for us? Again, I’m not saying that all corporations are bad or that all corporations don’t speak truthfully. There’s a lot of everything, but we cannot rely on the fact that we’re going to get good information and that corporations are going to look out for our well-being. Government agencies. Again, you know, I speak boldly here. You know, lately, especially in the United States, the Supreme Court has actually ruled that special interests can really contribute inordinate, obscene amounts of money to campaigns of candidates, so no matter what your political inclination, you have to understand that in order to get elected today, you’re beholden to a lot of special interests. So can we rely on the government? Again, sometimes yes, sometimes no. Is every aspect of the government sold out? No. Is every aspect of the government unreliable? No. But can we rely on the government as we maybe did many, many years ago to protect our interests? I would say we really have to consider that. And then again, health professionals. When it comes to your health, you want health advice, right? So, you know, what is the health professional? Are they working for a corporation? Are they in a clinical environment? What is their priority? What is their training? What is their focus? Do they really understand what you want? I get so many patients all the time who come to the office and say, “My God, finally I feel like I don’t have to be fighting my dentist. You know, I keep on telling my dentist I don’t want mercury amalgams in my mouth, and he says they’re not a problem. And I keep on asking dentists what kind of materials they’re using, and they say I’m too paranoid.” And so finally they come to a place where they don’t have to be fighting this. So you need somebody that’s going to be aligned with your core values, with your way of thinking, that can support your process, and that you’re not going to have to be really pushing to get the things that you believe in as acceptable. Then we talk about the internet, and this is really an important source of information for us, right? I think most of us are good researchers, I would bet, and we go to the internet often. And again, in the internet, you have really good information, and really bad information as well. So how do we really separate? I get so many people coming over and saying, “You know what, Doc? I hear that metal is bad for you.” “How do you know?” “I read it on the internet.” Or, “All root canals are toxic.” “How do you know?” “I read it in the internet.” So when you said I read it in the internet, it’s almost like you are already given some kind of dispensation to call this the truth. And again, you know, you have to understand where this information is coming from. Case in point, we’re going to talk a little bit about Dr. Weston Price, and I think many of you are probably familiar with Dr. Price, right? He did some wonderful work, and we’ll come back to that. And so the dental profession, unfortunately, has always been looking at dental materials in a very engineering like, without engineering like mindset. They’re really not thinking about the fact, as we spoke before, you know, we’ve actually become doctors from here to here, not thinking about that those materials are going to be in people’s mouths and people’s bodies. How is that going to affect them? Dental amalgams, we’re going to talk extensively about dental amalgams. They’re fifty percent mercury. Formocresol. Who’s familiar with formocresol? It’s basically formaldehyde, and it’s used on children’s root canals. So, you know, I think this is, you know, coming close to criminal to use something like that on a child. And so our hope today is that we can provide you with good information so that you can actually make a good decision for yourselves. So let’s talk a little bit about mercury amalgams and the history of it. In the early 1800s, it was brought in by a couple of Frenchmen, and by 1844, most of the great dentists in that time were in the east coast, and a good number of, almost 50 percent of them were actually lauding amalgam as the next big thing and using it. There was a group, though, called the American Society of Dental Surgeons who actually began to think outside of the box, and this is what we do all the time, is we start questioning. We can’t just accept things the way they are passed on to us, and they started questioning, well, is it really smart to take a material that is fifty percent mercury and fifty percent metal and put it in people’s mouths? I mean, look at when that happened, right? We’re not talking recently, we’re talking way, way back there, people beginning to have this awareness and saying, “Hey, I understand amalgam is very strong, and people love it because you put it in there and they feel it’s going to last forever,” right? But if you were going to belong to our group, and they were actually quite prestigious, you have to sign a contract promising that you will not use amalgam, mercury amalgams. And so I started saying, “I think that you guys need to reconsider not using this.” I mean, if I tell you mercury’s the third most toxic material, would you put that on your child’s mouth? No, but it’s, you know, it’s bounded, and all this, you know, party line that we’re reciting. I said, “It doesn’t matter, you know? It may be bounded it, may not. What if in ten years you find that it is not bounded?” And this is mostly what I got. But you don’t have to go too far. If you go to the manufacturers and just read the information, the warnings, really, you will be surprised. You will be surprised as to all the warnings they have on the amalgam. How it affects the nervous system, how it affects different organs of the body, and you know, if you ever have some time and want to look at that, I think you’re going to be really quite surprised. I’m going to turn it over for a few minutes to my associate, Dr. Christiansen, and she’s going to talk a little bit about the amalgam. Bree Ann Christiansen: I’m going to take the remote. Thank you. So I always say that my parents played a really funny game on me by giving me a really long first name to match my very long last name. So my last name’s actually Christiansen, not Christiansen, but I’m happy to let you all call me Dr. C or Dr. Bree, whatever’s easier to say for you. Just while we’re talking about the dangers of amalgam, I’d like to share something interesting. This week, the American Dental Association put out a newsletter, and on the front page cover, first article in that newsletter, it says that they’re trying to get amalgam separators legalized and mandated in dental offices. So what it would do is it would take everything that’s collected in the vacuum, separate the amalgam out so it’s not released into our water, our sewer, to contaminate that water. But it’s okay to put it in your mouth. We just can’t have it in our water stream. So, interesting note. I’m going to talk about what we see in our office every day. Who can tell me what looks wrong with that picture? Everything, right? These fillings are broken down, they’re over-contoured, they cause fractures in the teeth because over time, the metal corrodes. They expand as they corrode, and this is what causes these fractures. So the tooth left with this filling in for forever, I mean, anyone who has amalgam can say they’ve had them for 20 or 30 years. That tooth is really breaking down, and that filling on our right, I’d hate to see what the opposing tooth looks like, because that bite does not look good. These are very toxic restorations. As he said, there are 50 percent mercury in the amalgam filling. Every time you bite or chew, eat, grind your teeth, and you hit this mercury, this amalgam, the mercury vapors are released into your body, and you can see where the filling meets the tooth, it’s very stained, it’s very leaky, they’re opened, and it’s very difficult to see on a radiograph how much decay is actually present because there’s so much scatter of the radiation. So once we take these amalgam fillings out, what do we see? Tons of staining. Your tooth does not have a healthy response to these fillings at all. There’s a ton of staining, and in most cases, decay, but it’s up to us to decide which is healthy tooth structure and what’s decayed and not worth keeping. You can also see on the picture on the right there’s a huge fracture going through the middle of the tooth. Once we find these fractures, we almost have to chase them to where they start, and also, every time you chew on this tooth with this fracture and the filling in it, it flexes, making that crack even deeper. And once this fracture goes into the nerve, then we have a whole slew of other problems. So let’s get you back to a healthier state if this is what you have in your teeth. The best way to replace these amalgams is with porcelain onlays or porcelain crowns, but I’m going to let Dr. Vinograd talk more about the replacement methods. Let’s talk about amalgam removal protocols. It’s very important if you have amalgam fillings to be aware yourself of what your dentist should be doing to remove these safely. There are a lot of different protocols you can find online, the Hal Huggins version. There are a lot of good ideas, and none of them are wrong. I’m just here to talk about what’s most important, okay? So don’t take your eye off the eight ball. Did you want to see that slide again? Don’t take your eye off the eight ball. There’s one key feature in this protocol that is absolutely without a doubt extremely important: a sealed rubber dam. If you don’t have a sealed rubber dam, you have no protection from this mercury and amalgam that’s being removed from your tooth. This protects you from breathing in the vapors from your mouth, from any debris that’s released. This is by far, in a way, the most important thing for your dentist to do for you when they’re removing these amalgams. The other basics, this is the best side to take a picture of if you’re going to take a picture of the slide. The basics are, obviously, a rubber dam first. Second, it’s advisable to go to an office where there’s good natural ventilation, windows, doors where they have opened so that the air in the office is constantly recycled. It’s very important that they use high powered suction to vacuum all of the fumes and debris released. Also, the rubber dam is there to catch it, but some of the particles just need to be caught in the rubber dam or the suction. It’s also advisable that your dentist has an electric hand piece that can be very precisely controlled with lots of water so that it doesn’t overheat the tooth and so that it properly [sections] the amalgam to remove. In addition to these, we use the rubber dam, obviously. If anything you can get from what I’m telling you now, make sure they have a rubber dam. We use the rubber dam, we have good ventilation, our front door and back door creates a nice breeze. If you’ve noticed, usually in San Diego, there is a good breeze. Maybe not in here, but at our office for sure. We also use homeopathic tablets that are very good at helping your body with the detoxification process of getting these metals and mercury out of your body. We also prefer to remove the amalgams in quadrants, so if we break your mouth into an upper two quadrants and lower two quadrants, if there are several mercury fillings in each of those quadrants, we want to get them all out at once so the amount of time you’re exposed to this being removed is minimal. And now I’m going to turn it back over to Dr. Vinograd to go over how to replace these fillings and answer any other questions you may have. Thank you very much. So people kind of say take these amalgam fillings out, but we’re not looking at what are we going to replace them with, right? And I think we should look at that before we even decide to take the amalgams so you have good clarity as to what you want to do. And, you know, with this, with many other things, implants and so forth, many other things that dentistry has to offer, you have to decide what is right for you. What is right for you may not be right for you, and what is right for you may not be right for you. Why is that? Because we all have different conditions, different challenges, health challenges, different anatomical situations that may or may not be manifesting. We’ll talk more about that as we go, but you need to understand that there’s basically two ways to actually – maybe three ways – to replace old mercury silver fillings. First one is with composites. What is a composite? Is that filling material that is white that a lot of us have, that a lot of dentists use, but we have to have the awareness that basically what that is is a plastic with glass. That’s basically what a composite is. Plastic with glass. Most of them have BPAs, because it is a plastic, and some of them don’t have BPAs, but the ones that don’t have BPAs usually have small amount of fluoride in them. So you have to understand that there are no absolutes and you have to make decisions that are right for you, but knowledge is what’s important here. If you have a very, very small amalgam and you replace that with a composite and you are basically healthy, that’s not quite as [inaudible] as if you have a very large amalgam, you have some health challenges, and you’re replacing that with plastic. Now you’re chewing on that plastic every day, right, and it’s not optimal. Why doesn’t everybody just do porcelain? Mostly because of the cost. Porcelain is considerably more expensive. But if you would want to say “I want just the very best, I don’t want to compromise at all,” you would not be using composites in your mouth. The next couple of ways that you can actually replace a filling, a mercury filling, it with either onlays, inlays, and crowns. Onlays and inlays are basically partial crowns. We basically just remove the silver filling, clean it, reshape it a little bit, and then replace that with a porcelain piece. What is the different between the porcelain and a composite? A little bit the same thing as eating out of a plastic plate that has been chemically put together or a porcelain plate that has been baked. Also, they’re very, very large restorations, sometimes full crowns have to be placed. Now, as far as crowns, inlays, and bridges, you have different kinds of materials. When it comes to crowns, we have crowns that are – what was used for many, many years was just a metal fused to porcelain. That is really the old-school crown, where you always have a [coping], a metal [coping] underneath, and that metal could be non-precious, which I don’t recommend anyone has in their mouth, which includes nickel, chromium, and beryllium, precious, which is gold, platinum, or semi-precious, that’s what metal can go underneath, and then you bake the cake and put on the icing, which is the porcelain. So you’re really looking at nice, white teeth, but many of us still have the metal [copings] inside. In our office, we basically use no metal anymore in our crowns. But even with metal crowns, a lot of people get a little confused, you know? There are zirconia crowns, there are aluminum oxide crowns, there are all kinds of crowns, and basically, what a no metal crown is usually a core of zirconia, and baked on top of it, you will have a layer of porcelain. That’s usually how a typical crown is made. Now, a lot of people say, “Well, I don’t want aluminum oxide in my mouth or zirconia oxide in my mouth,” but keep in mind that this is baked and this is stable. It’s like saying, you know, there’s aluminum oxide in a dish, a porcelain dish, but the dish has been stabilized and has been baked. So there’s a big difference between free-flowing aluminum and aluminum oxide, which is actually bound and baked. Is it perfect? No. The most perfect thing is to keep your own teeth, right, and to keep them healthy, but this is probably as least invasive as you get, with the exception of the all zirconia crown. It’s called a Bruxzir crown. That’s a little bit like calling a copier a Xerox machine. So Bruxzir is the name of the company that actually brought this to market, but it’s really a pure zirconia crown, and that would be probably the purest kind of crown that you could have in your mouth. The only disadvantage with this crown is that you could take this crown and put it down on a slab and hit it with a hammer and it won’t break. Why is that a disadvantage? Advantage because it’s going to last you a long time, but disadvantage also because it’s going to be a little bit hard on your chewing. So as I say, every case is different, and you have to select what is going to work for you. Okay. The most important thing now is that after thirty years, I see more and more patients demanding a different kind of care from their dentists, and as with everything else, when the public demands something, people acquiesce, right? You bring products. So a lot of the people in the [inaudible] are beginning to follow the lead now. Okay. Any questions up to now? Okay. As I was saying, we actually started with the industrial revolution and becoming really experts on teeth and gums, and we really stopped thinking that it’s all connected, but in reality, we’ve now found that particularly heart disease is intimately connected to gum disease. And often, I see patients that come to my office, not all the time, but very, very frequently, and they have a history of heart disease, and I can almost bet looking into their gums they’ve either had a past gum condition or present gum condition, periodontal condition. So these are the initial stages of gum disease, when you see a little redness around your gums, inflammation, a little bleeding, and these are more advanced stages, where you’re beginning to develop a lot of gum pocketing, space between the gum and the tooth. And you can see the inflammation and then gum recession and so forth. Now, what is happening here is in this side, we actually have very healthy gum. There’s really very little pocketing here. If you actually would take an instrument and probe in here, you would maybe get a millimeter or two millimeters of space, which is what we can actually access with our toothbrush, or we’re going to talk a little bit more about water picks and so forth. Once you start having some gum disease, the bone [retreats], and you start have four, five, six millimeters of pocket depth. At that point, you’re beginning to have gum disease. You’re having billions of bacteria going into this area, unable to be touched right here by your floss or your brush. Your brush would probably just access to here. So they’re throwing a big party here, having a great time, and actually getting all that bacteria into your bloodstream. So gum disease is one of the biggest sources of systemic problems. Funny enough, and wouldn’t you know it, they have found the same bacteria inside those pockets as in diseased heart and pancreas. Actually, a research that came out a couple of years ago that shows actually pancreatic cancer having some of the same bacteria that is found in the pockets in the gums. So how do you address periodontal disease? First, like everything else, awareness. Second, traditional hygiene. This is still true. You’re brushing, you’re flossing. This is still true. And you want to make sure you’re actually brushing your gums, not only your teeth, and getting into those pockets and cleaning them out. I often, even though what we advocate is that you make your own toothpaste, sometimes we advocate patients that they start without even toothpaste, just water, so they can spend enough time cleaning those pockets, and then go into their toothpaste and brush their gums – I mean, their teeth. Now, we also, you know, brought something for you to see here, and you can actually physically see what we’re talking about. We’ve developed this protocol where we actually started seeing ozone being very effective in controlling oral disease. Why? Most of the bacteria in the mouth that is pathogenic, they’re anaerobics. What does that mean, anaerobics? They hate air. They hate oxygen, right? And you see, there’s some research that comes out that we have about an equal amount of aerobics and anaerobics in our mouth on a healthy mouth. As soon as you start seeing some kind of gum disease or decay, advanced decay, they anaerobes go like this and the aerobes go like this, which indicates to us that really the anaerobes are the ones that are very prolific during gum disease. Now, a lot of dentists lately have been using [inaudible], all the types of antibiotics. They actually put little antibiotic pellets in people’s gums to try to kill this bacteria, which is really, to my way of seeing it, a little bit ridiculous because you’re going to have that pellet for how long? And then afterwards, you still have the same physical problem. Bacteria come right back in, and all you did is desensitize your body to the antibiotic. So if we could find something that could kill that bacteria that was not antibiotics, that would be great, right? Well, there it is. O3. Ozone. Ozone is wonderful because it’s natural. It’s oxygen. We love it, anaerobic not only hate it, but they die on contact usually. So one of the problems that we were having, if we go back to this, is that sure enough, if you swish with the ozone, you’re going to kill a lot of the surface bacteria, but how do we get to the bacteria down here? This is really the problematic bacteria, right? How do we get here? So she said, “Doc, I really like you, but my teeth aren’t going anywhere.” So what do we do? So this is the first patient I tried this on, and she started using the water pick with the ozone religiously once a day. I saw her three months later. The nine millimeter pockets were down to about six or sevens. The sevens were down to about five or fours. Did everything disappear and suddenly, magically the pockets were gone? No. Because this is not what this would do. Some of the inflammation being reduced reduced the size of the pockets, but basically, she was actually keeping those pockets clean without bacteria. There was no pus. There was no inflammation. There was no bleeding. She still has her teeth, I would say six, seven years later. Is this optimal? Not necessarily, because you’re swimming against the current here. But we started using this protocol with a lot of our patients, and I would say about eighty percent of the patients that before used to be referred for gum surgery are no longer going to the [inaudible] for gum surgery. This is also incredibly effective for kids that have a problem with decay, you know, anything that has to do with infectious disease. Great protocol. If you’re going to actually use an ozone generator, which is now quite reasonable. It used to be thousands of dollars. They’re much more reasonable. Make sure you use it in a well-ventilated area, because ozone in the air is very irritating. You want a corona discharge, preferable a thousand milligrams, anywhere between 600 and a thousand milligrams of output, and you want a sealed box around the elements. I know there are people who make home versions of them. I would really not get one of those, because there could be a lot of leakage. So just in case you’re interested, I actually had my son, there was a company I had, so this is a disclaimer, I had him actually get some ozonizers that are available, but it really doesn’t matter where you buy them, you know? It only matters that you have – that’s why I put the right kind of specifics here so that you can actually get your own ozonizer if you choose to go that way. And as far as the water irrigation device, the water pick, I think most of you know we can get them just about anywhere. They’re fairly inexpensive, and it’s a great tool. Now, the first time that some of the patients use the water pick, it ends up all over the bathroom, you know? Water in the mirrors and everywhere, but after you try it for a few days, it has a learning curve, but most people get very comfortable with them. Now, you want the water pick to have a separate container. There are some that are actually very narrow, has a very small amount of water capacity. You want one that has a large reservoir. And, you know, you don’t need a lot of bells and whistles. Just basically a container with a delivery unit. And, you know, the other thing you can do for your health is make sure that you, every so often, go to the dentist. Make sure that they are probing you. If your dentist is not probing you, or the hygienist is not probing you, you should look for somebody else. This is key, and I think most competent dentists will do this for you and keep track of what your pockets are. It’s not only about the pocket depth, but also about the fact that you don’t want any bleeding and you don’t want any inflammation there as well, but that is key. I’ve had patients that have come and said, “I’ve had a dentist for 20 years and I just found out I had six, seven millimeter pockets. When did that happen?” You know, well, you have to really stay on top of that. Another thing you might want to consider is if there’s a low of crowding, the crowding is really unhealthy for your gums, because it’s very hard to get in between and clean those teeth. We traditionally find a lot of pocketing in teeth that are crowded, so you can either work really hard at it, or you can consider invisible braces. Most of the companies out today are actually making BPA free trays. Okay. Root canal controversy. This is one of the big ones, right? Root canals or no root canals? Do we leave it? How much time do I have? Got you. Biggest controversy I think on the internet, because a lot of people are saying no root canals ever, under any circumstances, right? And I was one of those people that said no root canals ever, under any circumstances, based on a lot of the research that was done by Dr. Weston Price. Is everybody familiar with his work? So he placed actually extracted root canal teeth subcutaneously on rabbits, and the rabbits got sick. So he said, you know, root canals are unhealthy. I stopped practicing. I did not do root canals for many, many, many years because of this research, and then we started thinking, well, is it the root canals, or is it the way the root canals are being performed? So through investigation, we found that the materials – let me see if we – the materials that were being used inside the canals to seal the root canal were actually hydrophobic. That means that they contract, and as they contract, they create micro spaces for bacteria to actually host themselves, host colonies in there. So we now have different methods where we can use different materials that don’t create this kind of a situation. So, question. Once you have either a tooth that requires a root canal or you have a root canal, what do you do? Do we treat it with biocompatible materials, do we leave it, do we extract it? So as I said, you have to really evaluate your case individually. What is your health like? What is your situation in your mouth? I had a patient that called me, she was in Toronto, she wanted to come over because she went to a holistic dentist and he said “We’ve got to pull nine teeth and have root canals on them.” I said, “Well, send me your X-rays.” We saw there was one tooth that was [unsaveable]. I said, “Have him take this one out, and then see what that feels like, and then multiply times eight, and then you’re going to know what it is to miss eight of your teeth.” Was that the wrong thing to do, to pull all eight teeth? Maybe not. But all I’m saying is we have to start thinking, right? Where are we going with this? What are we going to replace these teeth with? That’s important to know, right? So, you know, missing eight teeth is going to really decrease the quality of your life, especially if you don’t replace them, right? Now, for example, we have sometimes root canal teeth that are focal points of infection. We’ll actually connect them with a tooth-organ relationship. A couple of months ago, we had a patient that said she, after 20 years, they finally discovered a benign tumor on her liver. And when we took a look at the X-rays, we saw that she had an infected root canal on tooth number 13, which would be similar to number 4 on the other side. And those teeth were related to her thyroid, which she had trouble with, and her liver. Now, I see a patient that has some kind of a problem that a root canal is manifesting in the body, same channel, then at that point, we make a decision. We probably don’t want another root canal. We don’t even want to re-treat that root canal. We probably want to get that out and maybe replace it with a bridge. That patient had no symptoms at all. Healthy patient. NO big challenges, no cancer. I would have considered re-treating the root canal. So again, every case is different, and we have to really keep in mind the long term outcome. Now, what is a root canal? It’s basically removing infected tissue from inside the room here, cleaning that out, and actually filling it with some kind of a material. It’s actually like a filling inside of the root canal, right? Many people think that the root is all gone. It’s not. The root is still in place, but the canal is actually cleaned, relieved of any infection, any of the nerves or little vessels that it has, and based on Dr. Price’s research, he found all root canals are toxic and are dangerous, and he was right. And 99 percent of the root canals being done today are still being done with hydrophobic materials that shrink. So he’s still right. Most root canals are really not conducive to good health. And one of the problems with traditional root canals, [inaudible] gutta percha point, which is rubber that’s inert, and a sealer, which is toxic and hydrophobic and it shrinks. So you’re creating micro pockets inside there. So all of his research was based on that, but his research was 30 years ago, so when you’re reading on the internet all root canals are bad, and they’re based on this research, they’re right, based on traditional root canals. Now, what is a biocompatible? No gutta percha [root canal], no hydrophobic and toxic sealers. We use hydrophilic points, which actually expand, with a sealer that is actually based on calcium that actually expands and is [osteogenic] aside from being hydrophilic. So now you have a material that’s going to actually expand and really seal that canal quite a bit better. Is it perfect? No. And I’ve been doing these root canals for probably about nine, ten years, and I’ve not had a single failure yet, which is, to me, incredible. And again, you cannot – research C points instead of gutta percha. I don’t really have enough time to go into this right now, but that is the point that is actually, the C points are [inaudible]. C points. And then, you know, the study actually shows the increased dimension of the C points, how it expands with water, which we all have inside of our bodies. And then we get [a nice] much better seal without those micro pockets that are creating the problem. Again, am I advocating root canals? Not at all. I’m just giving you information that makes sense to you so that you can see what your situation is like and see whether you [leave a root canal] be, whether you re-treat it, or whether you extract it. And, most importantly, if you decide that you [inaudible] root canal [extracted], what are you going to replace it with, right? I mean, it’s an easy decision to say “I don’t want this root canal, take it out, Doc.” Okay. What’s going to go there? Okay, so here are our options. Implants, fixed bridges, removable bridges, Maryland bridges. Implants. What is an implant? We have actually three different kinds of implants. We place the three in our office depending on the situation. They’re basically mostly titanium. Now, is all metal toxic to the body? No, not necessarily. Is metal going to disturb a little bit of our [inaudible] flow? Yes. So if you have a large piece of metal in your mouth, it’s probably going to disturb the flow of your energy much more than if you have a very small piece. The titanium, per se, has been used, I see it in my practice, it’s mostly welcomed by the body, very well integrated most of the time, so I don’t see the titanium being a terrible problem. A lot of people call my office and they want to see about the possibility of zirconia implants. So this is a traditional titanium implant with a crown. This is a traditional zirconia implant. Now, people say “Why not use zirconia instead of titanium?” Because you know, you don’t want all that metal in your mouth. The problem with zirconia is that they are still not well-developed, they’re very big, very aggressive, you have to take a lot of bone out, and they’re usually a single piece. They just came out with a different one that has other problems. And because they’re a single piece, you can never get them aligned perfectly, because the bone doesn’t always align with the teeth, and you have to grind them, which creates micro fractures. So they have their problems. If I have a patient with perfect bone conditions that I can get a perfect [inaudible] profile, then I can use zirconia. But again, you need a knowledgeable doctor, and you need to be knowledgeable about what the differences are. Removable bridges. A lot of people use those because they are less invasive, but honestly, they’re a terrible quality of life. You know, in and out, and they actually take a toll on the teeth as you’re brigning them in and out, so I would consider this last resort. Fixed bridges, we do a lot of those when we don’t want to be invasive into the bone area when we have a root canal, when we have a patient that is compromised, a cancer patient. Then we’ll use no metal, and what we do is we actually put crowns on the two adjacent teeth, and then put a fixed bridge that gets bonded there permanently. The disadvantage of this is that you actually have to grind the two adjacent teeth. Sometimes that’s okay. It’s a better option than the other options, depending on your situation. Maryland bridge, less aggressive. You see the adjacent teeth don’t get fully ground down. The problem with this is that they tend to come unglued. They tend to come off, and so you have to be visiting your dentist a couple times a year to replace them. So again, pluses or minuses to everything. And that’s the design of a Maryland bridge. So again, every case needs to be evaluated for who you are. Are there systemic manifestations on the meridian of that tooth? Are there life threatening health challenges? Will this intervention improve or decrease the quality of your life or your health? So it’s not only about what you don’t want, it’s about what’s going to happen afterwards. And again, you know, we have, for example, tooth number nine is related to a lot of the bladder, it’s related to some of the genital organs and so forth. If you have a root canal and you have those symptoms, then you need to reconsider. Maybe something needs to be done with that. Again, best health decisions are made when you take responsibility and you surround yourselves with a good team. If you have any questions beyond what you’re able to ask here, feel free to contact us. Laura from lifeupgrademovement.com interviews Dr. Vinograd (play for audio, or read transcription below) for her upcoming book about holistic dentistry. She also published an interesting article on the oral health-body connection here. Laura: Today I’m speaking with Dr. Daniel Vinograd. He has been a holistic dentist for over 30 years and is based in southern California. You can check out his website at drvinograd.com. Welcome, Dr. Vinograd. So I was hoping that maybe we could just start with you telling me a little bit more about why choose a holistic dentist. How are they different from regular dentists? Daniel Vinograd: Well, [inaudible] matter of perspective. You know, traditional dentists basically are focused on the mouth and the teeth, the oral cavity, you know, and depending on their specialties, some might have a little broader perspective than others. And [I don’t know how it is] for all of the dentists that have a holistic [inaudible] [or not], but I know for me, it’s really about stepping back and seeing the whole picture. You know, as I say in my lectures, after the industrial revolution, we became really very specialized. We became actually specialists in the oral cavity, and any connection to the rest of the body was lost. And so once you step back and you start realizing, hey, this is all connected, you know, you see very clearly sometimes that some of the pathogens you find in the gums are the exact same pathogens that you find in diseased organs in the body, and you have no alternative but to acknowledge the fact that, you know, the bloodstream is connecting everything in our body [including] the mouth. So, you know, we lose that kind of perspective when we start treating patients and we get lost in the details of preparing a crown or doing a surgery, et cetera, et cetera. So it’s mostly about that. Once you step back and you find that it’s all connected, then your decision making process changes, you know? You are beginning to be concerned about not only the physical attributes of what you [inaudible] in the mouth, but the biological connection as well. So I would say that would be the main difference. Obviously, there are a lot of differences in the way you practice once you’ve made that shift in your core values. Laura: Right. Exactly. In holistic dentists, it’s still not very prominent in the field, is it? There’s probably only, what, a couple thousand in the country? Daniel Vinograd: Yeah, you know, and the more I speak with the other dentists that are holistic, because it’s really not a regulated field or there’s really no university for holistic dentists, holistic dentists use practice so differently from one practitioner to the other. And even though there are lectures and there are certain associations where a lot of the dentists [inaudible], the way that people practice can be really quite different. Daniel Vinograd: Yeah, and there are degrees of commitment to the holistic dentistry, and also, it really depends a lot on not only your perspective, but also in your view, your general view of how you should be practicing. There are no set parameters. Laura: Right, right. I know one of the – something that I think all holistic dentists do do, though, are very conscious about how mercury is used, or it shouldn’t be used, because – so I know many people now know that it is very toxic, it’s one of the most toxic elements in the world, but what are the other toxic materials in dentistry? I know that there must be several that are commonly used in regular dentistry, anyways. Daniel Vinograd: You have different situations where you have toxicity by just via the type of materials that are being used, and also the fact that [inaudible] some metals may just disturb the bio magnetic flow. You know, actually having a piece of metal in your body does make a difference in how – [in Chinese medicine] it’s called the [chi] flow. But there are electromagnetic currents in the body, and [it all gets disturbed by] different metals in the mouth. So you really have two different components here. One would be the actual toxicity, and the other would be the actual intrusiveness of the material into the flow of your life energy. Daniel Vinograd: For example, some of the old metal that used to be used for crowns [inaudible] still used in some instances contain nickel, for example, which is considered to be toxic, and so you have a crown, for example, that could be both, toxic and could be intrusive in the biomagnetical point of view. Laura: So what would a holistic dentist do there? How would you go about that with the patient in determining what you should do and what you should use? Daniel Vinograd: Well, you know, over the many years, you evolve throughout your practice, and over the many years, I’ve learned, as they say in Buddhism, to walk the middle rows, and that is to try to make sense of what is in the best interest for the patient without getting carried away, because, you know, what has happened is we’ve become very polarized. Allopathic dentists or allopathic doctors think that alternative doctors or dentists are quacks. And alternative dentists and doctors feel that allopathic doctors and dentists are hardheaded, intransient, and unaware. And, you know, the truth is that we need more people that can actually bridge both ends so they can really serve patients better. So it’s not really about – I often tell my patients, you know, if you get run over by a car, you want a hospital. You want a surgeon. You don’t want an herbologist. You know, if you have a long-term [inaudible] disease that allopathic medicine really struggles with, you don’t want allopathic medicine, you know? You want something that works, Chinese medicine, homeopathic. So I think the most important thing is for somebody to have some common sense, draw from their experience and knowledge, and be able to advise patients in a way that makes sense to them. So we talked a bit, and then we started thinking about getting a proper history, finding out when those root canals had been placed or performed, and then we tried to see how that affected her health and tried to get a chronicle of her health to see whether those root canals were related to some of her health issues, and then we actually connected each individual root canal to different organs, because there is a connection, specific connection, in Chinese medicine, between each tooth and particular organs. And so we started seeing if there were any manifestations in her body, and then I asked [inaudible] root canals themselves. It was one root canal that was [inaudible] infected and it actually affected the patient’s thyroid, which was an issue, so I suggested that she remove that tooth and then that she wait and reassesses what her situation is, and then after that, you could actually – you know, she ended up coming to see me, but after a while we ended up reassessing which of those root canals were re-treatable, because there are ways to re-treat root canals in much more biocompatible ways, and at that point, we made a decision which teeth should come out, which teeth should be re-treated, and which should not, and you know, once we decided that, she ended up making really good decisions for herself. I can only see her taking out nine teeth and becoming a dental cripple, obviously, she would have been root canal free, but she would have also had a lot of new challenges in her quality of life. So you see, what I’m saying is you really have to think things out. Also, you have to think about when you remove a tooth that has a root canal, what are you going to replace it with? Are you going to put an implant there? Is that implant going to be a new aggression or, you know, a new invasion on your body? Are you going to not replace it? What are the consequences of that? So this is really what my way of practicing is about, it’s really teaching patients and giving them enough really good quality information so that we can partner up and make good decisions. Daniel Vinograd: We [inaudible] in one tooth, and we replaced it with a non-metallic bridge, and then we ended up leaving one of the old root canals on observation for future treatment, and we re-treated all the others. Laura: And has her health improved a lot? Daniel Vinograd: Yes, health improved a lot. There was another patient that came, actually, from Singapore, and she actually, in her case, we actually removed three root canals and an implant from her mouth, but in her case, she was young and she had other very good teeth, and we could actually replace all her teeth without any implants by just placing non-metallic bridges, and she, also – I mean, she was a young woman in her 30s, and she said she actually hadn’t had a menstrual period in over six years, and the week after we removed all that and we replaced it with the bridges, she got her first menstrual period in six years. Daniel Vinograd: So that’s actually very, very profound changes. Another patient became – I mean, I’m giving you some interesting stories [inaudible]. Laura: No, yeah, I love the stories. The stories are fantastic. Daniel Vinograd: And so everything was connected. They extracted that tooth that was connected to her liver, so we don’t know if that infection created the problem, or if the problem actually affected the tooth, you know, but it really doesn’t matter in a case like that where she had actually developed a tumor in her liver, and that infected root canal had no business being there, so we actually removed it. But the connection was actually clear, and she was stunned when she actually – so that was the only infected tooth and the only root canal she had in her mouth, and it was directly related to her liver. Laura: Wow. Yeah. So can we talk a little bit about why root canals are so – I mean, I want to use the word toxic, I’m not sure if that’s the right word. You know, why do they tend to go bad? Because I know sometimes they can be, you know, you’ve got the root canal and it’s okay sometimes. Daniel Vinograd: Let me preface this by saying that traditional dentists are not happy with me because I say the root canals, traditional root canals should not be done, and actually, holistic dentists are not very happy with me because I say that root canals can be re-treated, and you can actually have a healthy root canal in your mouth. So it’s a pretty lonely road to walk right now, which makes me feel very good, makes me feel that I’m [inaudible] the right path. If everybody’s angry at me, you know that you’re on to something. Daniel Vinograd: So traditional root canals, basically the way root canals have been performed for years, [some have been changed] to some degree, but the bottom line is that traditional root canals use gutta percha, which is a rubber material, which doesn’t have any expansion or major contraction capabilities, so it’s a very, very neutral, inert material. It’s a rubber, it’s not something great to have in your body, and that, either one gutta percha point or multiple gutta percha points are placed inside your canal. At the same time, all those gutta percha, it appears that gutta percha are linked by a sealer, a root canal sealer. The biggest problem with this way of doing root canals is that because those traditional sealers are somewhat toxic and hydrophobic, they can’t contract. What happens when you try to fill a canal inside a root and the material contracts around the gutta percha and away from the tooth is that you’re creating quite a number of little voids in that area, which bacteria are more than happy to inhabit. Daniel Vinograd: So traditional root canals, whether microscopically or [clinically], tend to become focal points of infection. Now, most of the information you’re going to find on the internet is based on traditional root canals, and this is where Dr. Weston Price did all his research on root canals. I know you’re familiar with it, but he extracted root canal teeth and embedded them subcutaneously in rabbits, and they all developed the same sicknesses that the actual people were presenting. Daniel Vinograd: And so after that, some people extrapolated that root canals cause cancer, other people said no, what he said, but he said that root canals actually create some kind of pathology, and the same pathology that the patient had, the rabbit develops. So regardless, you know, root canals were not good for you, not healthy, and the reason they were not health is because they had become focal points of infection. They had become areas where bacteria were just having a party, and they were untouched. It’s virtually impossible to access those areas unless you open that area and clean it out again. Daniel Vinograd: So for many years I stopped doing root canals because there was no alternative, but then I started thinking, well, really, the problem is not the root canal. The root canal inherently is not the villain here. It is really the actual spaces that are left behind around the root canal filling material. So we began to look at different materials, and then some researchers brought out something caught [MPI], which is used, you know, it’s a [inaudible] based material they use to repair fractures in the femurs and the knees and the hips of people. They started trying to use it to place in the root canal areas. Now, that material is not hydrophobic, so it doesn’t tend to contract, but it was a very, very difficult material to use. It was just hard to handle. So a new group of [inaudible] actually came up with another sealer, which is also [inaudible] and hydrophilic. I mean, we all have moisture in our bodies everywhere, right, so even in a canal you have some moisture, and they found that this material, rather than contracting, was expanding. So they started using, developing the methodology, and we started using this material with really good results. That still left a little bit of a problem because they still used a piece of gutta percha, just one, not multiple pieces like other techniques, but they used one piece of gutta percha to drive the sealer to the right length on that canal. And so even the material [inaudible] was expanding, the gutta percha in the middle was not, and so it still created small irregularities which were a fraction of what was there before, with traditional methods, but still, in all, it was a situation where you have two materials not expanding at the same rate. About a year ago, I started actually, I became part of a focal group that started bringing some points that had been used in Europe for a long time that were actually biocompatible, and they actually expand [inaudible] rate as the BC sealer, and so this is the way we’ve been doing root canals, you know, the last couple of years, with these materials called C points. Some combinations of C points and BC sealers, actually are creating now a situation where the materials are expanding and sealing those canals very, very nicely. Laura: Oh, that’s cool. So is that what you mean by when you were saying re-treating? Is that the stuff that you use to re-treat? Daniel Vinograd: Exactly. We take out all the old material, the toxic sealers, all the gutta percha, take all that out, and then we clean it and replace all that material with expanding calcium-based material. Now, is this an answer for everybody? No. You know, I would say we’ve only been using these for a couple of years, the C points, and probably about six or seven years with the BC sealers, and clinically, I’ve observed that the patients have not had any of the manifestations, and a lot of the manifestations were reversed by actually re-treating the root canals. But if, for example, you have a person who has breast cancer on the left side, and they have a root canal on tooth number 2 or 3, which are in the same line as the breast, I would not re-treat it, I would extract it. So again, you know, you really want to look at the patient and see what their systemic challenges are and then meet those, meet those patients where they need to be met, with a bigger context in mind. Laura: Wow, that’s awesome. That’s fascinating. Daniel Vinograd: Yeah. So people come to my office and said, “Doc, I want you to take this tooth out. You know, it’s a root canal tooth, I don’t want it, I read all the stuff,” I try to educate the patient, say, “Look, I understand how you feel, and I want to partner up with you in making this decision. I just want you to have good information, not dated information.” You know, a lot of this information – well, not necessarily just dated, because Weston Price, I believe it was about thirty years ago or more that this research was done, but you know, the fact is that 99 percent of the root canals today are traditional root canals, so it still applies, so I understand their point of view, but they don’t know that there are options. They don’t know that there are additional ways of doing it. Fortunately, there are a handful of us that are doing it in the States, with both the BC sealer and C points. Laura: Yeah, I was just going to say that, because I know I’ve spoken with other dentists and nobody’s mentioned this before. Daniel Vinograd: No, I think there’s probably maybe, you know, 10 or 12 of us that are doing this in all of the US. And it’s a shame, you know, because it’s a viable treatment, and you know, it’s a lot of times mutilating people that don’t need to be mutilated. Laura: Right. Right. Very cool. Very cool. So I know – so say you, you know, one option for getting, you know, if you do take out a tooth that’s been root canaled or you don’t want a root canal and you take out your tooth instead, I know one option is implants, and like we were talking about that before, I know – so there’s basically the two types are titanium or zirconium, and I was wondering your opinion on what you would more typically use or, you know, depending on the patient, maybe. Daniel Vinograd: Well, it’s not so much the difference between which material is the best. Really, there are a lot of variables. For example, you have very, very tiny implants that sometimes we use in the office. They’re about a third of the size of a traditional implant. So if a patient doesn’t have any issues with titanium, and very few people really do, then it really becomes a problem where you don’t want to be too invasive with the metal. You want as small a piece of metal as possible so you have the least amount of electromagnetic impact on the area. So if you’re going to choose a titanium implant, it’s also important to know what size of implant you’re going to place there. Now, titanium implants integrate very well, but again, they’re metal. Now, if I would have a choice, would I use titanium or would I use zirconia, I would definitely use zirconia, if everything else was equal. The problem that we’re having with zirconia implants is the way they are designed. Number one, they are very large, very invasive. Number two is that up to about a month ago, the titanium implants only came in one piece. Traditional – zirconia came in one piece. The titanium implants usually come in three pieces, so you have the piece that mimics the root of the tooth, the part that mimics the neck of the tooth, and the crown on top of it. Daniel Vinograd: So if you will, the bone that [inaudible] is going to be placed [inaudible]. So when you place an implant and you have three pieces, you can actually put the implant, the root, in the [angulation] of the bone, because obviously if you don’t do it that way you could perforate the bone, right? So you have to go in line with the angle of the bone. Then when you actually bring the little neck piece of the implant, you can [change] the [angulation] of the crown to actually be in line with your other teeth. When you only have an implant that is one piece, you don’t have that choice, so if you have to place a nice, big implant in the angulation of the bone, you often [inaudible] stick out and it’s not going to be in line with the other teeth. I don’t know if that makes sense to you. Laura: Yeah, yeah, that makes sense. Daniel Vinograd: So what you have to do is you have to start grinding the top of the implant to make it fit the other teeth, and also, when you do that, you create micro fractures on the implant, so that [causes it] to fail when you start grinding on it. Daniel Vinograd: So the technology is just changing right now, and they just came out a month ago with a two piece zirconia implant, but they’re still having a lot of problems with those because they seem to be breaking a lot right on the junction between the root piece and the crown piece. So even though I love zirconia as an implant material and I use a lot of zirconia in my crowns, the technology is not at a point where that makes it a good implant for every case. Now, if you have a lot of bone and the bone is lined up just right, then you can place a zirconia implant, but the cases where you can do it properly [and effectively] and efficiently and safely are a small percentage. Laura: Okay, yeah, so until the technology advances a little bit better. Daniel Vinograd: Exactly. One the technology advances, I’m hoping that they will have zirconia implants that will be less invasive, and they’ll be more flexible. Laura: Right. So, you mentioned a couple times, and I’ve heard this a lot, about the electromagnet kind of [inaudible] currents going on in the mouth when you have a lot of different metal. Can you kind of explain that a little bit better to me, you know, like what kind of impacts do you see from that? Daniel Vinograd: You know, a lot of people don’t see it at all, not clinically. And some people do. Some people say oh, I get this little zap every so often, you know, I get a zinger right on my tooth or right on the metal. What happens is that the saliva actually conducts and it creates sort of like a battery effect where you have two different metals that are actually [inaudible] saliva are connecting to each other, and you’re creating a [galvanic] current. And now, when you’re having something like that, it’s obviously, even if it’s not in a clinical level where you’re actually feeling it, there’s actually disruption, because if you think about it, you know, what are we, you know? We’re cells, we’re atoms, but a lot of our connections are electrical connections, you know, the way we think, our neurons are connected electrically. So to have electric currents that have nothing to do with the proper functioning of our body, you’re going to have some kind of disturbance on the well-being of the homeostasis of your body. Daniel Vinograd: Most of the time you’ll have some metal and then you’ll have a lot of silver fillings in your mouth, and that’s when, you know, 90 percent of the time the silver fillings are actually creating [galvanic] currents with gold or other kinds of metals in your mouth, and so obviously you want to really [inaudible] silver fillings for many reasons, not just biological, but they tend to swell with time and crack the teeth. I can’t tell you how many teeth every month we do, repair or replace because large amalgams swell over the decades and they start cracking the teeth. Daniel Vinograd: Yeah. So a lot of the patients don’t feel so concerned about the mercury because they have been assured by their dentist that the mercury’s fine, initially, you know, we have a very powerful [translucent light], and we’re able to see through the tooth, and they can see those cracks from the amalgams just staring at them, you know? Most of the time some of those fracture lines are pretty evident. Laura: Wow. Yeah, so do you see – I mean, what would you say that you see most often in your practice in terms of, like, when somebody comes in and is potentially, you know, sick from their dental work? Is it mercury, is it root canals? Both? Daniel Vinograd: Both. Both. Yeah, I think that both the mercury fillings and the root canals are probably the two top culprits in the diminishing health of most of the patients I see. Daniel Vinograd: And I would say the third, also, up there, would be also gum disease. Laura: Yeah, I was just going to say. I would like to talk a little bit more about that. Like, when somebody comes in and they have gum disease, and so, what do you tell them to do? How do you reverse gum disease? Daniel Vinograd: First we assess it. You know, gum disease has basically a couple of [inaudible], but one of them is the bleeding and the inflammation and the bacterial infection inside the gum pockets. The other one is the depth of the gum pockets, which is related to the first part of it. Daniel Vinograd: Traditionally, when you have gum pockets that are one to three millimeters, that’s considered healthy. There’s always a space between the gum and the tooth, but those three millimeters you can actually easily access with your toothbrush. So if you brush your gums properly, you can clean the bottom of those pockets. The problem starts when you begin to have anywhere from 4, 5, 6 millimeter pockets, then you no longer physically can get to the bottom of those pockets with the toothbrush, so basically, you have bacteria there that is untouched, and they’re going at it, and most of the bacteria that caused the damage are anaerobic bacteria. A lot of the studies show that when you have gum disease or decay, the anaerobic bacteria become much more dominant in your mouth than the aerobic bacteria. And it makes sense because they’re hiding inside those pockets. They hate air, they hate oxygen, and so once they get – traditionally what dentists will do is they’ll actually go in and clean those pockets. By cleaning them they hope that those pockets will shrink because you reduce a little bit of inflammation. They’ll traditionally shrink one or two millimeters, so if you have a six, seven millimeter pocket, you’re not going to resolve the problem by just doing a deep cleaning. Daniel Vinograd: And so what traditional dentists will do is they’ll stick, like, a little pellet of antibiotic in there to try to kill off some of the bacteria, which I find to be quite ridiculous because after a couple of weeks you’re back to square one, minus any possible resistance and toxicity that you’re creating by the antibiotics, or they’ll send them to the periodontist, and the periodontists will actually cut the gums and bring them down to one or two millimeters, but now you have a longer tooth and exposed root with a lot of sensitivity. Daniel Vinograd: So it seems to me that all of the way that we’ve been treating gum disease is pretty barbaric. Daniel Vinograd: So what I’ve devised is a combination of a water pick with an ozone machine. And so what we ask our patients to do is to learn how to use the water pick to access their deep pockets, and we also do the deep cleanings for them, and we also measure their pockets, and we have our hygienist [inaudible] values with me so we’re all [at the same pace], but rather than putting antibiotics in the pockets or sending them to get their pockets cut, we actually have them learn how to access the bottom of those pockets with a water pick. So once they learn out to do that and irrigate the bottom of the pockets, because with the water pick can [inaudible] five, six, seven, even eight millimeters, then we introduce an ozone generator, and we actually, instead of using regular water to irrigate them, we have ozone charged water, ozone infused water. Daniel Vinograd: And what the ozone does, because it’s O3, it actually kills that bacteria on contact, on impact, because they’re anaerobics, remember? 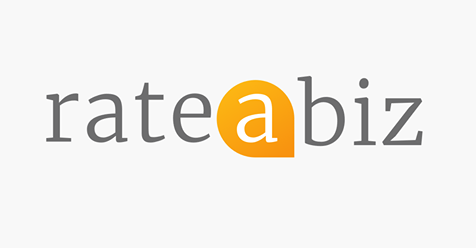 They hate [inaudible]. So when you have hyper-charged oxygen water, you’re [inaudible] that bacteria, and if you do that every day, you’re basically eliminating [disease]. Laura: Wow. That’s really cool. Daniel Vinograd: [Inaudible] something that not a lot of dentists do or companies because there’s really no – it’s very hard to monetize it. So, you know, the patient buys these two pieces of equipment and keeps them at home and does their own dentistry at home. But, you know, it’s effective, even though it’s not commercial and it’s not benefitting dentists or other commercial interests. It’s a very effective therapy. Laura: So does the ozone, does it kill the good bacteria as well, though? Is there good bacteria? There must be good bacteria in the mouth. Daniel Vinograd: It does not, because what you have, when you have disease, your anaerobics, they hate oxygen, have increased and have overpowered the aerobic bacteria. The aerobic bacteria likes oxygen. Daniel Vinograd: So by irrigating this, you’re actually reducing the anaerobes, which are the ones that are causing the disease, and bringing the bacteria back into balance. Daniel Vinograd: Well, the pockets will lessen. If you have a nine millimeter pocket, you’re not going to make it a two. But if you have a nine millimeter and you make it a seven and you’re cleaning it all the time, every day, then the original problem with the pocket, which is harboring the bacteria and creating a bacterial colony there that may be going into your bloodstream, into your heart, into every part of your body, is no longer there. Daniel Vinograd: So we can get caught up on the fact that a patient still have seven millimeter pockets. If you talk to your dentist, they’ll say “Oh my gosh, that’s terrible. That’s a terrible thing.” This is the way we’re indoctrinated. But the pocket itself, it’s just like a root canal. It’s not the root canal, it’s what they’re filling it with, and it’s not the pocket itself, it’s the colony that is being harbored by the pocket. Laura: I may be wrong about this, but I also feel like I imagine if you’re keeping the pockets clean and you change your diet and you’re taking care of your teeth, I think eventually, after long enough, I think the pockets would continue to decrease, maybe. Daniel Vinograd: They will not. Daniel Vinograd: They will only decrease – it can happen, actually, when you get recession, when the gums will shrink away from the – but most of the time when they’re there, they’ll only shrink because you take the inflammation away. When the inflammation is taken away, they usually will shrink a couple of millimeters. So if you have a five, you can make it a three. That’s great. If you have a four, you can make it a two. That’s great. You’re totally out of trouble there. But if you have seven, eight millimeter pockets, they will not decrease to two or three millimeters. Not in my experience, and most dentists would probably agree with me. Laura: Okay, okay. I guess I was just hopeful thinking. Daniel Vinograd: Look, even if you have a five or six millimeter pocket, you’re cleaning it every day, that stops being a problem. Laura: Right, right, exactly, exactly. Daniel Vinograd: I mean, it becomes a high-maintenance situation, and in time, you may [opt] to have your gums trimmed anyway, but now you have an alternative. Laura: So what are your biggest recommendations for when to prevent that from ever, you know, your gums ever getting to that point where you have such large pockets? Daniel Vinograd: It’s a matter of making sure that your dentist is measuring pockets every time you come in, and when they start going from two or three to four or five, that’s the easiest time to reverse it. And sometimes it requires deep cleaning, sometimes it requires changing the way you’re brushing, but even at those levels, even when you have healthy gums, to use the irrigation or water pick irrigation delivery with the ozone is still very helpful. Laura: Oh, yeah. That sounds really cool. I’m like, I’m going to go get one of those. They’re probably not very cheap, are they? Daniel Vinograd: The good ones run about two hundred and [forty] dollars. Daniel Vinograd: I’ve had mine for about thirty years. They last forever. Laura: That’s definitely worth the healthy teeth. Daniel Vinograd: The water picks run about forty dollars, so it’s pretty, really, in the big picture, it’s really not a big investment. Laura: Absolutely. Not in the big picture of keeping your health and your gums healthy. Daniel Vinograd: Yeah. [Inaudible] see a periodontist and get the gum surgery or whatever, you’re talking thousands of dollars. Laura: Yeah, absolutely. Let’s see. I think I’ve covered everything that I was hoping to cover with you. Thank you so much for your time. Daniel Vinograd: No, not at all. If I can be of more help to you, I’ll be happy to. It sounds like you’re doing a very worthwhile project here. Laura: I hope so. I hope people enjoy it. Again, thank you so much for your time. Have a good night. Dental ozone therapy can help you keep your teeth and gums as healthy as possible. So what is ozone? And what can this kind of therapy do for you? We have the answers you need. Put in the simplest way possible, ozone is three atoms of oxygen joined together in a compound. This elemental form of oxygen occurs naturally and results from lightning or ultraviolet energy, among other things. In a dental clinic, we can use an ozone generator to simulate the effect of lightning and create ozone. It’s the same substance that’s in the partially depleted layer of ozone more than 50,000 feet above our heads. Ozone is also one of the many ways that nature repairs itself when smog is present. Ozone possesses unique properties that make it especially useful in dentistry. That’s because it’s a powerful oxidizer that we can use to very effectively kill fungi, bacteria, virus and parasites — and the concentration required is much lower than with chlorine, plus there are no toxicity issue. A single ozone molecule works as well as 3,000 to 10,000 molecules of toxic chlorine and kills pathogens thousands of times faster. With an ozone generator, we can take medical-grade oxygen and change it to ozone using a corona discharge reaction that works in the same way lightning generates ozone. Evidence has shown that this machine can generate the right concentration of ozone to kill many sorts of pathogens. In dentistry, much of what we do is a fight against infections. Pathogens like bacteria, fungi and viruses cause these infections. It may be a single type of organism or several that cause the problem. These pathogens can cause other problems in the body, just as infections in other locations of the body can cause dental issues. This has been well-documented. For this and other reasons, dental infections can be difficult to completely eradicate. Infections continue to reinfect impacted areas, and this can lead to long-term dental and overall health problems. But many pathogens share one thing in common: ozone will punch a hole in the membrane of the organism and cause it to die. In the presence of ozone, few pathogens can live. In fact, studies have shown that the body’s own antibodies create ozone in some cases to kill invading organism, but they can’t always create enough. Ozone therapy, then, is a continuation of nature’s work. Ozone can be applied to oral tissue through three methods for best results: ozonated water, ozonated olive oil and oxygen or ozone gas. When using ozone therapy, we use it in conjunction with other common standards of care, including x-rays, pocket-probing and clinical exams. – Ozone is generated when energy is applied to oxygen (O2) that causes it be split into O1, then that singlet O1 molecule combines with an existing O2 molecule to create O3, also called ozone. Lightning as well as sunlight and UV light cause this to happen in nature. 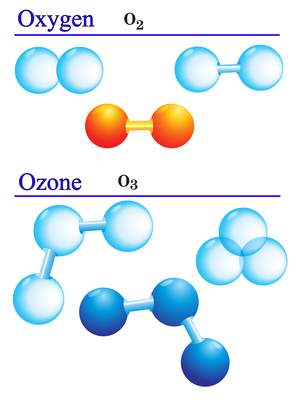 – Ozone is an oxidizer or oxidant. That is, it’s a substance that accepts an electron from some other substance, called an electron acceptor. It adds an oxygen atom to a compound that is being oxidized. Healthy cells have antioxidants in their cell membranes that prohibit them from being burned up — or oxidized — by ozone. Pathogens don’t have these antioxidants or have few of them. Protection and prevention. Use of ozonated water on a regular basis as a pretreatment can help disinfect your mouth. Ozone disinfects and sterilizes the mouth while leaving only oxygen and water as byproducts of the process. Treatment. For specific care purposes, ozone can be used as ozonated water or as ozone gas. These can be used for treating infections without antibiotics or chemicals — only oxygen and water. This type of treatment can be used no matter the location, size or type of infection. Gas can penetrate even deeper than water. 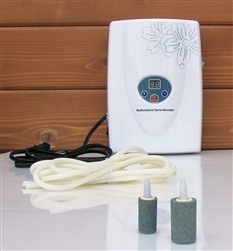 In Europe, ozone treatment has been used for decades to speed the healing of wounds and treat a number illnesses. Research on the topic was done as far back as the early 1900s. When used in a controlled manner, it’s safe, effective and has no side effects. That’s better than with many medications. Ozone molecules are powerful weapons that can kill microorganisms quickly and effectively without doing any damage at all to healthy human cells. Millions of patients have been treated with dental ozone, something used by dentists around the world. Yet no side effects have been recorded from using dental ozone properly. It’s possible to safely create a highly oxygenated atmosphere in the mouth that can reduce cavities and help reverse them. And dentistry isn’t the only place where ozone is being used effectively. It’s also proving its worth at the veterinarian’s office, in the home, for skin care and in the HIV-positive community where killing viruses and bacteria is particularly important. Ozone has even shown great potential for treating diabetic foot ulcers and MRSA infections that don’t respond well to antibiotics and other treatments. There are now hundred — perhaps thousands — of dentists in the United States who are treating patients using ozone for periodontal disease, decay therapy, remineralization, root canals, canker sores, bone infections, tooth sensitivity and much more. It is perhaps the idea of stopping and healing decay that is most unique and intriguing. In the dentist’s office, no treatment is less invasive that clean, comfortable dental ozone therapy. Early decay, in particular, can be treated effectively with ozone, preventing the need for cutting holes in teeth to remove it. We’ve managed to cut hundreds fewer holes in teeth because of minimally invasive ozone therapy. We’ve also been amazed and astounded that this therapy can penetrate enamel and help heal and improve the deeper structure of the tooth. Few other therapies can do that. Depending on how long you’re exposed to ozone and its concentration, the penetration of the effect can be several millimeters or more. As a dental team, there’s now a continual discussion in our office about whether to heal or whether to cut to solve a dental issue. In some cases, cutting and drilling are required, and we have the best possible array of tools to do that easily and painlessly. But sometimes, dental ozone therapy can allow us to heal your mouth instead of cutting on it. That’s an astounding advancement. Cavities happen in an acid environment below the tooth’s surface. Ozone can kill that acid-making bacteria and effectively neutralize the waste product, creating a new environment that’s conducive to overall health and hostile to pathogens that cause disease and decay. Healthy bacteria can replace the bad ones. The acid niche is gone — and stays gone for months. With ozone treatment in the office and at home, it’s possible that the healthy situation can remain and the unhealthy situation can be kept at bay for months or years — perhaps forever. Our ozone periodontal program includes regular oral health evaluations, cleanings, oral cancer screenings, full mouth debridement, oral hygiene coaching, ozone irrigation, ozone injections with MI desensitizer paste for total comfort and a home care kit with instructions. Homeopathy is a wonderfully powerful part of the medical community, and it has been often ignored by people that do not fully understand it. This article has been written to explore a little bit more about how homeopathy can really support dentistry and patients that are slightly nervous about how they are going to feel when they sit in the dentist’s chair. One of the key things that you have to remember about homeopathy is that it address the entire body. Most forms of medicine will tend to focus on only one single part of the body: the ears, the feet, the digestives system. On the other hand, homeopathy understands that our bodies are not only made of different parts, but those parts are working together in harmony. When one part becomes unhappy and out of sync with the rest, then the rest of the body will become affected, in small ways. That means that you can feel symptoms of body unhappiness in one place, while the cause is in entirely a different place. Normal medical doctors would focus on the place that is displaying the symptoms, and that could mean that they miss the actual cause that is upsetting the natural balance of your body. For dentists in particular, this is dramatically important. Very few people realise that our teeth can be affected by – and in turn affect –many different parts of our body; our heads, our jaws, our necks, our throat, our digestive system, even our ability to balance. A normal doctor with no understanding at all about homeopathy could very easily misdiagnose what is wrong with you, and offer you treatment that you both do not need, and could harm you. Arnica has long being used for hundreds of years, because it has been proved over and over again to help people. Some of the brilliant ways that it can help a dentist’s patient is that it can reduce the feelings of shock and panic, which is essential for people that already have a fear of the dentist. It can also reduce the likelihood of nausea and gagging, which is great if a dental patient is going to have a long procedure. There is the opportunity to take a tablet full of Arnica about an hour before you go to your dentist appointment. Dentists should be making their patients aware of the amazing powers of Arnica. One of the things about going to the dentist that many people hate is the feeling of numbness that they will experience for the time after their appointment. It can be very disorientating, and really irritating if you are trying to eat! However, you simply cannot go through certain procedures at a dentists without a local anaesthetic – which you would think would put you in a difficult situation. However, there is a homeopathic remedy called Chamomilla. If you take it around fifteen minutes after your appointment has finished, it will immediately start to reduce your numbness. A vast amount of dental work will include upsetting your nerves, and this can be really uncomfortable and painful. 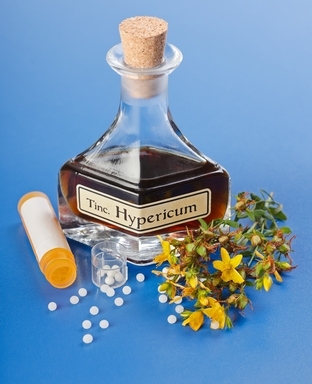 However you can take some Hypericum which has been proven over and over again for encouraging nerve regrowth and healing. This is something that you can take repeatedly whilst you are healing up and recovering. Dentists that have a good understanding of how homeopathic dentistry can really support a patient will often arrange to have short appointments with their patients. This is not because they are going to have more appointments of a shorter length, but because the changes of modern dentistry mean that it is now possible to get a lot done in a short amount of time. Many patients will find it awkward, wearying, and painful to keep their jaw locked open for a long time, and this can be very sore after a long appointment. Along with a short appointment, dentists with homeopathic knowledge will also offer Magnesium phosphorus – otherwise known as Causticum – which will relieve any cramping that a patient will feel after an appointment. Children can find going to the dentists very upsetting and difficult, but there are plenty of things that a sympathetic homeopathic dentist can do to help with this. From the very beginning, Chamomilla can be used to settle and help teething infants. No parent looks forward to teething, long nights, and crying babies, but Chamomilla can help an infant to settle down, and get the sleep that they so desperately need. As your child gets older, they may develop abscesses on their teeth which will be just as painful, and once again Chamomilla can be used to bring relief. Moving into the teenage years, braces can be very painful and sore – especially when they are tightened or moved – and Ruta can be used to help their gums and inner checks heal without extra pain. Surgery can be incredibly uncomfortable and upsetting. When we have oral or dental surgery, it can affect the way that we eat, the way that we speak, and our self-confidence. The quicker that we can heal up, the quicker we can return back to our normal lives, which is why Silica is so often recommended by dentists that understand homeopathic methods. Silica can be used twice a day for patients that really need it, and it will help with any sharp edges that are left in your mouth after surgery. However, it is very important that patients who have had an implant put into their mouth do not take Silica, as it could cause the rejection of the implant. More and more people are living very stressful lives, and this has an unfortunate side effect: bruxism. Many people suffer from bruxism without even realising it, and they do not even believe that it is really a problem – but tooth clenching and grinding can actually have a very detrimental effect on your teeth. That is all bruxism is, but when people do it repeatedly, and some will do it unknowingly in their sleep, it can cause dental pain. If you are one of the many people who are struggling with bruxism, then now is the right time to talk to a dentist about this who truly appreciates homeopathic remedies. We have all suffered from tooth ache at one point or another, and there are many different homeopathic remedies that have been found to work that you can try out for yourself. For example, there is Belladonna. Used in huge quantities it can actually be a poison, but in very small doses it can numb the area where you are experiencing pain. You should also be aware whether your pain is hot or cold – that is, whether heat makes it worse, or cold does. Depending on what kind of pain it is, you can use Pulsatilla for hot pain, and Coffea for cold pain. If you find that clenching your teeth lessens the pain slightly, then you will find that Staphisagria will work wonders for you. When a tooth has been removed from your mouth, the area can bleed much later on after the surgery. A Phosphorus tablet will work wonders here, lessening the blood flow and keepin the area clean so that it does not become infected. However, if some infection does develop then do not panic. Gunpowder – yes, you read that correctly! – actually has a wonderfully antiseptic quality. It will also reduce the pain. Painful and unfortunately recurring with some people, mouth ulcers can have a dramatic effect on a person’s day to day life: but with Feverfew, the patient will see their ulcers disappear easily. If you take it for a few days after the ulcers have gone, you should be prevented from any recurring attacks of ulcers, leaving your mouth pain and ulcer free. No one likes going to the dentist, and no one likes having any changes made to their teeth – but these homeopathic ideas will naturally complement the work of a dentist. Why not call us at (619) 640-5100, and ask us about our homeopathic knowledge? Going to the dentist can be a very stressful time – for people of all ages! That is why we do our absolute best to ensure that each and every single one of our patients is comfortable and happy with the way that their appointment goes at our dental practice. We think about each aspect of your time here, from your arrival, to your sitting in our waiting area, to seeing the dentist, to receiving any treatment or advice, to leaving us again happy and healthy. But we want to do even more than that, and look after you while you are sitting in the dentist’s chair. That is why we use MI Paste. MI Paste a special protein (milk derived) that releases phosphate and calcium into your mouth, which are absolutely essential for your teeth to remain happy and healthy throughout the day. Calcium and phosphate are just two of the minerals that our teeth require to maintain themselves, but we often do not ingest enough of them in our daily diets. MI Paste also relieves tooth sensitivity, and allows Dr. Vinograd to work with your teeth with minimum pain and disruption for you. It protects the nerve endings of your teeth, thereby relieving sensitivity (not just for dentistry, but also hot/cold air and foods).. and also creating a plaque-barrier by protecting dental nerve endings. If used during each of your visits, Dr. Vinograd will be able to see a pronounced change in the way that your teeth are able to protect themselves. That could easily translate into fewer trips to the dentist for aches and pains, and fewer treatments being necessary. We offer MI Paste at our dental clinic to ensure that you receive the best care possible, and we take pride in our ongoing efforts to ensure your comfort. MI Paste is the material favoured by holistic dental professionals to ensure that you receive the best care, and that means that our patients come to us again and again: because we take the best care of both you and your teeth. To receive dental care that takes your comfort into consideration, make an appointment with Dr. Daniel Vinograd by calling (619) 640-5100. 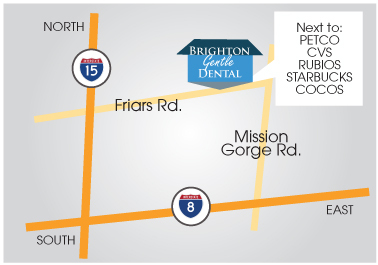 Why do we use a 3d scanner at Brighon Dental San Diego? In short, for maximum comfort, precision and speed. No need for gummy impression material in your mouth. With a few passes, the wand captures the contours of your mouth, and renders a 3D model which can be sent directly to the lab via an encrypted connection. 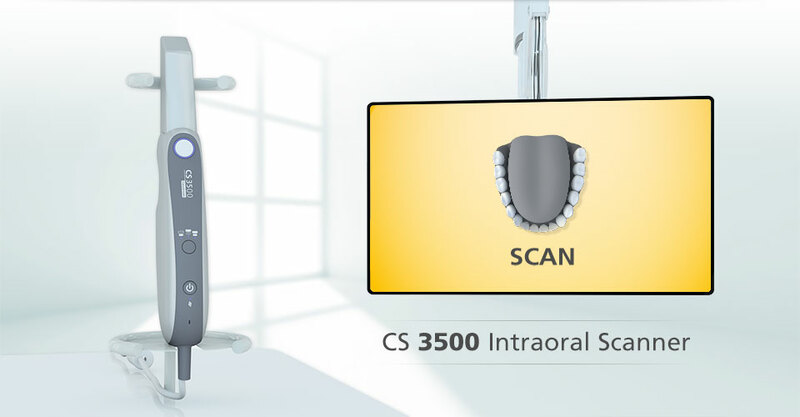 The new, easy to use, and ergonomic CS 3500 intraoral scanner from Carestream Dental has a compact, lightweight design that provides a more comfortable experience for both the patient and the practitioner. Because of this design the scanner allows for high angulation scanning up to 45 degrees and depths of -2 to +13 mm. This 2D and 3D scanner has a system integration that is unique to scanning technology. The CS 3500 can scan conventional impressions to create high precision 3D models and the technique digitizes the impressions so that crowns can easily be designed and milled. It does not require any liquids or powders to be sprayed over the teeth or gingival tissue of the patient before use. An external heater is not required because the scanner has an internal heater to prevent the mirror from becoming foggy. Also, no trolley is needed making this scanner truly portable. In addition to that, the scanner is easy for the user whether they are left handed or right handed. This scanner allows for the practitioner to spend their time focusing on their patients mouth and capturing the image rather than their computer monitor. Capturing data with the CS 3500 is as simple as using auto focus on a phone camera. The scanner had two easy to use modes. The first is Feedback. This mode features two small but highly visible lights on the scanners body. If the light is green, the scan was good and software is building files after each acquisition. A red light means that the user is moving too much during acquisition and needs to recapture the image. This mode allows the user to focus on capturing the image and by watching the lights, a complete scan can be completed in just minutes – in most cases. The second mode is Guide. Guide tells the user when the scanner doesn’t recognize an area, whereas Feedback waits until acquisition is captured. This mode can proactively examine the field of view to determine if the user can successfully stitch together an image. The Guide mode is best for new users. There is a tool, Light Guidance, designed to ease use and assist in work flow which has no effect on the accuracy. It also includes True Color, a tool that can distinguish tissue and dentin/enamel if the prep is subgingival for margin definition. Executing the workflow is simple. The scanner provides multimedia commands for close-up, still, and color photos to accompany scanned data when it is exported which is something lab technicians appreciate. The doctor selects the patient from practice management software, then launches imaging software from the patients info. Scanner acquisition launches from the imaging, the user takes the scan, and saves it in the patients file. 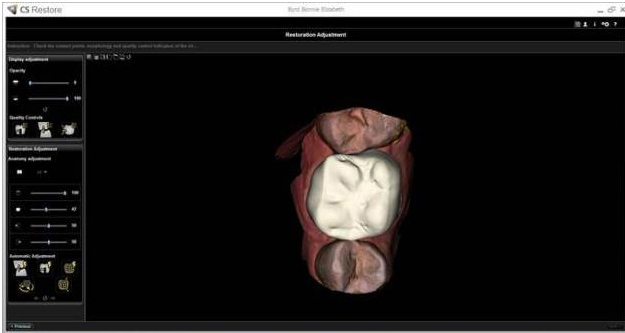 The doctor can then export the scan as an stl file from the imaging software and send it to “CS Connect” which will automatically open a web browser where the users existing labs are listed. The doctor can also write and attach notes to the case or fill out RX provided by the lab. The scan data then moves to the lab, where the user can monitor if it’s been reviewed or not by the dashboard on the webpage. In conclusion, Carestreams’ CS 3500 intraoral scanner provides practitioners with an easy to learn, and use, highly accurate, open architecture system with a low cost port of entry. Put all of that together and you’ve found the way forward, the future of intraoral scanning technology, the game changer. To take advantage of this 3D scanning technology, make an appointment with Dr. Daniel Vinograd by calling (619) 378-1565. 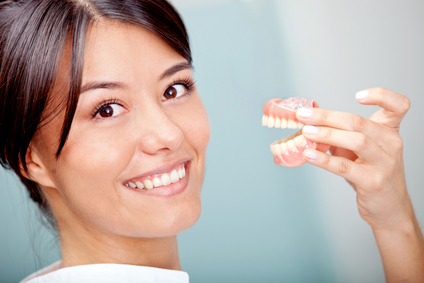 Dentures wear out – The material used to make your dentures is very durable, but is not intended to last forever. Dentures can break if dropped and need to be replaced at regular intervals. Even with the most meticulous care, the appearance of your dentures can change with your diet, as you chew, and simply as they age. Many other factors can change the way your dentures fit in your mouth. Over time without teeth, gums and the bone in your jaw can shrink. If the dentures get too dry for too long, their shape may change. If the dentures are placed in hot or boiling water, they may warp, and will no longer fit properly. The gap between the denture of the gums may require the dentures to be relined. Small-diameter implants can help to protect the bone of the jaw, and keep the dentures fitting better for longer. Denture wearers need to continue regular dentist visits – If you thought losing your teeth let you off the hook in regards to visiting the dentist, think again. People who do not have teeth can still have oral problems. You should still see your dentist twice a year for an oral health assessment. Your dentist will perform an oral cancer screening, and can check for other conditions, like diabetes, that can cause symptoms in the mouth. Overtime, your jaws or your face can change, and this changes the way that your dentures fit, and your dentist can make adjustments so that they fit better. As the fit of your dentures changes, this can cause irritations, sores, or infections. Some medications, such as blood pressure medications or medication for chest pain, can have side effects, including enlargement of gum tissue, that can change the way your dentures fit. Odors, tartar, and stains will be removed by the dentist or hygienist. Your dentist will also review your medical history and any medications you may be on. Dentures can look natural – Some people may be embarrassed by the signs of wearing a denture, such as slipping, clicking, or the worn teeth. People wearing dentures should be able to talk normally and eat without pain, or dentures falling out. 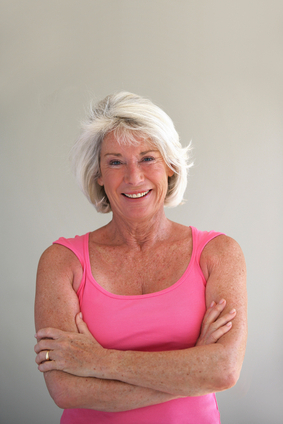 Dentures can be made to look aesthetically pleasing and natural, and can even make you look younger. The red gum of the dentures can help to increase the fullness of your face, as well as supporting facial muscles, to minimize lines and wrinkles. Stability is vital for this. To discuss dentures or denture alternatives with Dr. Daniel Vinograd, call (619) 640-5100 for a free consultation. You Just Got New Dentures; Now What? While dentures are a highly effective replacement for natural teeth (and they do a great job of improving function, restoring comfort, and boosting confidence), new dentures do take some adjusting to. During the adjustment period, you may experience some trouble with the dentures. This is normal and typically lasts from one to three months, depending on your general health, condition of your mouth, your age, and the type of dentures that you wear. Changes in your expression – It can take time for the muscles in your face, cheeks, and lips to adjust to your new dentures. Don’t be surprised if your normal expressions seem strange at first. Too much saliva – The process of digestion begins in your mouth. Anytime something new is placed in your mouth, such as food, your salivary glands begin to produce saliva. It can take days for for your saliva production to return to normal. Soreness – The tissue in your mouth is quite sensitive and can easily become irritated by the pressure or rubbing from your new dentures. It is common for sore spots to develop. The dentures may need to be cut back in the sore areas or by the adjustments made need to be made by your dentist during follow-up visits, sometimes for weeks after receiving your new dentures. Problems with speech – The way you speak and pronounce words is directly affected by your teeth. By their nature, dentures affect the way you talk differently from your natural teeth, and this may cause some speech difficulties. Be patient and practice. Consider reading out loud, and if you find certain words give you trouble, practice repeating them. Difficulty chewing – Chewing may cause some discomfort in the beginning, especially until sore spots appealed.Some things you can do to make this easier include taking small bites, eating softer foods, and chewing gently. Try to chew primarily in an up-and-down motion, minimizing side to side motion in the beginning. As chewing gets easier, you can try other foods. Kitchen sink syndrome – When you’re first getting used to your new dentures, they may make you feel like you have everything but the kitchen sink in your mouth. The new dentures feel strange in your mouth. It can take days or weeks for this feeling to subside. Feeling loose – Until your dentures are settled all of the adjustments of been made by your dentist, the movements of your cheeks and tongue may try to dislodge her dentures. This can cause a feeling of looseness or of your dentures sliding. If you’re interested feeling loose, try closing your mouth, pressing your lips together, and gently sucking on your dentures. Before long, the dentures will settle, and the section will improve. Gagging or nausea – New dentures may trigger a gag reflex, cause nausea and some people. This is due to the pressure of the denture on the upper palate. The dentist can make adjustments to the denture to relieve this feeling. But nausea typically dissipates within a few days. Many of these problems can be minimized or even prevented by placing small diameter implants with the new dentures. Call (619) 640-5100 for a free consultation with Dr. Daniel Vinograd for your dentures or denture alternatives.